This post is really little more than a comedy of errors. I had another recipe in mind for today but that was before forces beyond my control intervened. You see, I was at the farmers market, minding my own business when I came upon the radishes, French breakfast radishes, no less. So, I bought them. Never mind that I was already lugging around a full shopping bag. Exiting the vendor’s stall, I literally bumped into the beets display. WIth my shirt now sporting a mixture of mud and beet juice, I thought it a sign and bought a bunch of large red beets. On the way out of the market, I bought a few more things, filling a 2nd bag, and headed for home. Once home, I unpacked my bounty, dreaming of following Roger’s suggestion for buttery radishes and re-creating Mom’s beet salad. And that’s when it hit me. I’d be leaving for Michigan in a few days. I should be subtracting from my refrigerator’s shelves, not adding to them. WIth no possible way to clear my fridge before I was to leave, Plan B was put into effect: food preservation. I’d freeze some and the rest? 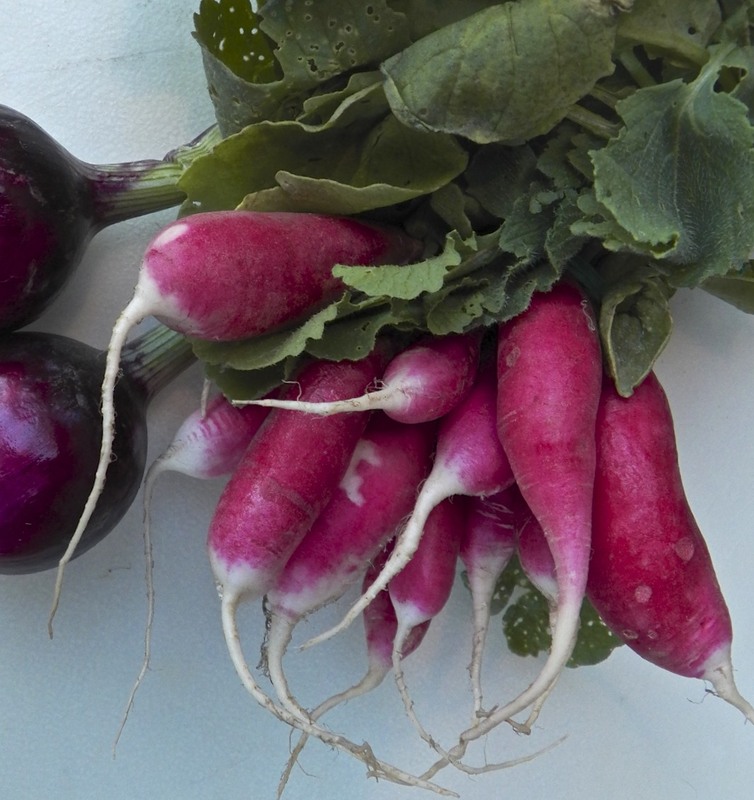 Well, that’s how today’s pickling post was born and first up were the radishes. 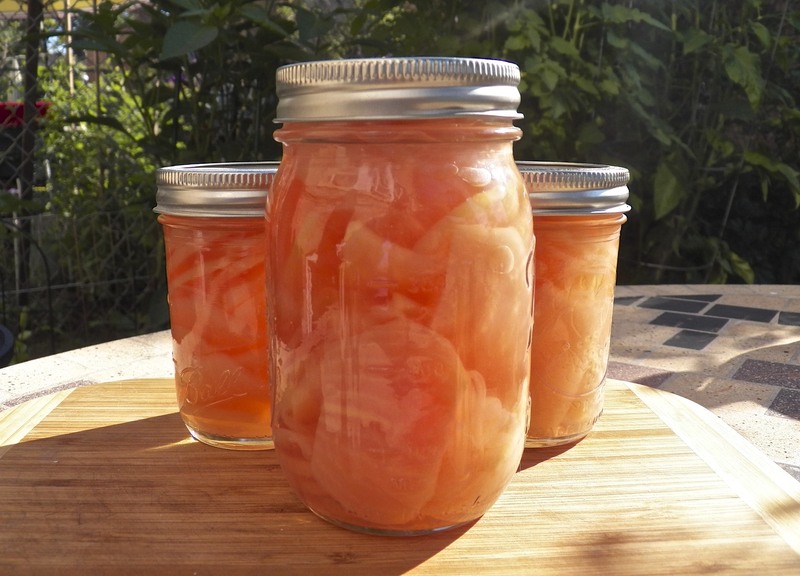 Googling pickled radish recipes, I came upon one from David Lebovitz and looked no further. I’ve had very good luck with his recipes. Unfortunately, I didn’t have any white vinegar — this was a spur of the moment pickle, after all — so I married what I had until I reached the required amount. The radishes turned out great and, subsequently having earned Zia’s seal of approval, I see no reason to change things. The “married” amounts are the ones listed in the recipe’s ingredients. Next were the beets. I didn’t have my own recipe, so, I again I turned to google. After checking a number of them out, I decided to wing it. The recipe below is the result. There’s one critical error, however. I had intended to use these beets in a salad but I included whole cloves in jars of red shoestring beets. How could anyone find those cloves when it’s time to serve the beets? With 2 jars already filled, I had little choice but to continue with the recipe, adding whole cloves to the remaining jars, watching them disappear into the beets. Since I had promised beets to some friends, I knew I would have to make more. These wouldn’t do. The Saturday following my return from Michigan, I once again returned to the farmers market and bought 2 bunches of beets. This time I bought Chioggia beets, an Italian variety of heirloom beets with alternating red & white rings when cut. There was no way any cloves could hide among these beauties. Still, I wasn’t going to take any chances. These beets would be sliced rather than shredded. While the beets were roasting, I surfed the web looking at pickling recipes. I stumbled upon a USDA site and their recipe for pickled beets. With some changes, that’s the recipe I used and have shared below. Pre-heat oven to 400˚ (205˚ C). Place washed beets on a foil line baking sheet, cover lightly with olive oil, and use another sheet of foil to enclose the baking sheet and beets. 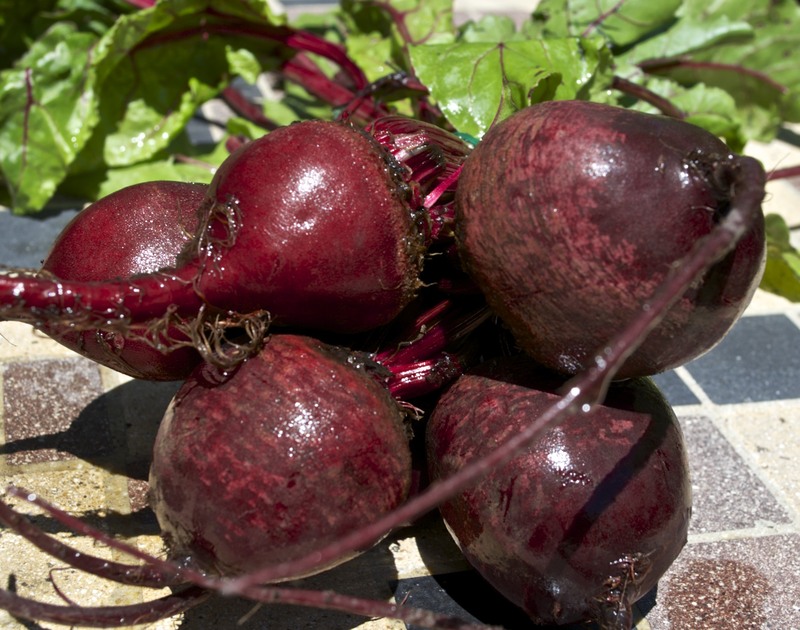 Place beets in oven and bake for 45 minutes or until a knife can be inserted into a beet with little resistance. Uncover the beets and set aside until cool enough to handle. Beet skins should peel off, though a paring knife may be needed for some spots. Meanwhile, add vinegar, water, salt, and sugar in a small sauce pan and heat until both are dissolved. Keep hot though not boiling. Using 4, sanitized pint-sized jars, add 1 clove and 1/2 stick of cinnamon to each. Add some beets, another clove, enough beets to fill, and one more clove. Add enough of the hot pickling liquid to fill each jar to within 1/2 inch of the jar’s top. Seal each jar until “finger tight” and process in a boiling water bath for 30 minutes, Remove from water and set, undisturbed, on a kitchen towel covered baking sheet in a draft-free spot. Jars may be moved after 24 hours. 9 oz (260 g) radishes, cleaned, trimmed, and sliced thin. Peel where needed. Add vinegar, water, salt, and sugar in a small sauce pan and heat until both are dissolved. Set aside to cool. Using 4, sanitized, pint-sized jars, add 1/2 garlic clove and 6 of each, red and green peppercorns. Divide the onion and radishes evenly among the jars. 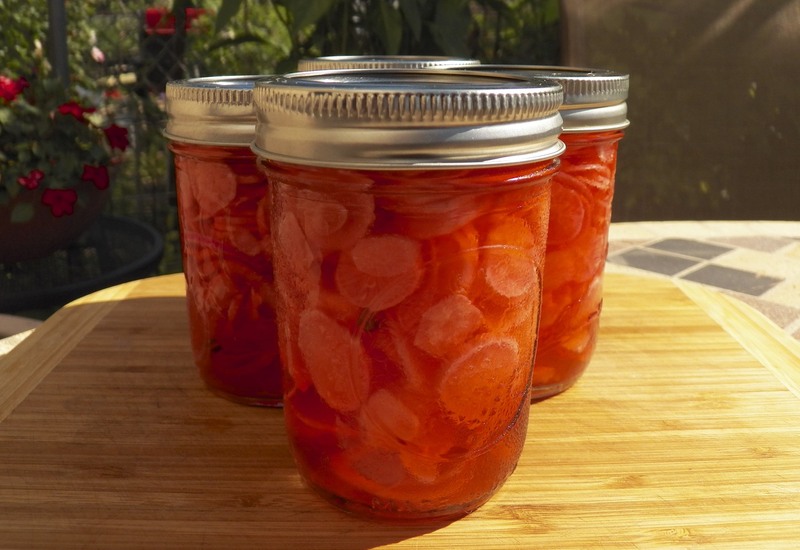 Once cooled, pour enough pickling liquid to fill each jar within 1/2 inch of the top. 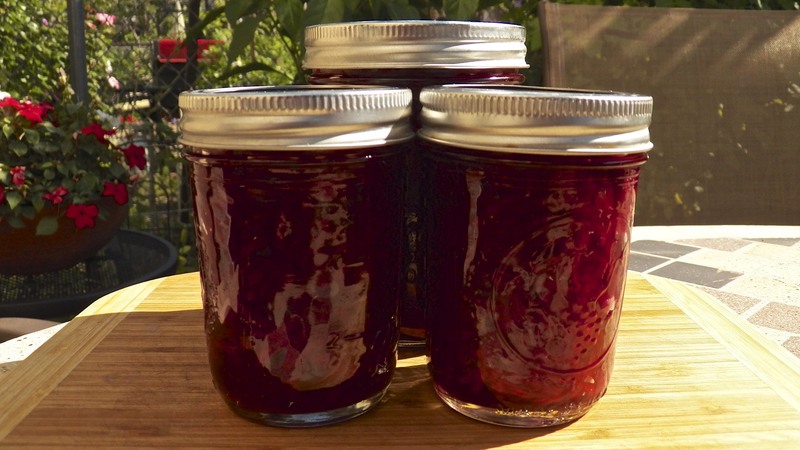 Seal each jar with a sterile lid and refrigerate. Slice the beets as thin as you prefer. Meanwhile, place cinnamon sticks and cloves into a small pouch or piece of cheese cloth and tie to secure. Place vinegar, water, salt, sugar, and spice bag into a sauce pan and bring to the boil. Add sliced beets and onion, simmering for 5 minutes. Remove the spice bag and fill each jar with enough beets, onion, and pickling liquid to within 1/2 inch of the top. The radishes should sit in the refrigerator for a few days before use and they will last about 3 to 4 weeks if kept in the fridge. 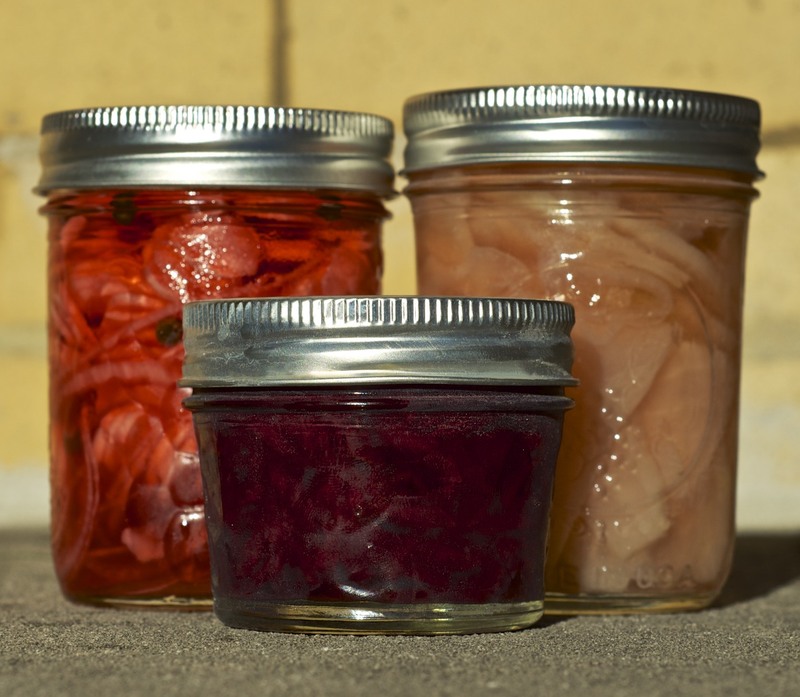 Both beet pickles are processed and will last for months on a cool, dark shelf. If you like, you can skip the boiling water bath, put a sterile lid on each jar, and refrigerate them. They, too, will last about 3 to 4 weeks this way. Although I used French breakfast radishes for this post, I’ll use the more common, globe-shaped radishes for future pickles. They’ll produce larger slices, which I prefer. You needn’t roast the beets before pickling. Many recipes suggest boiling the beets for 20 to 30 minutes before peeling and continuing with the pickling. It’s Summer and people are googling season-appropriate recipes. Pesto was hot but now my giardiniera recipe has caught the internet’s eye. It’s probably because the ingredients are all readily available now, as are reasons for having a jar on-hand. 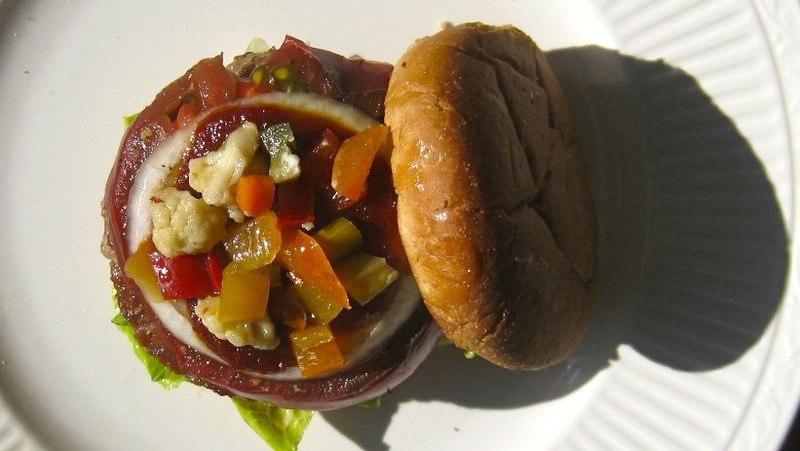 It is barbecue & picnic season, after all, and neither can be a success without a jar of giardiniera handy. You can find out what so many others are googling by simply clicking HERE. Insalata del Baccalà For some, the timing of today’s post may seem rather odd. 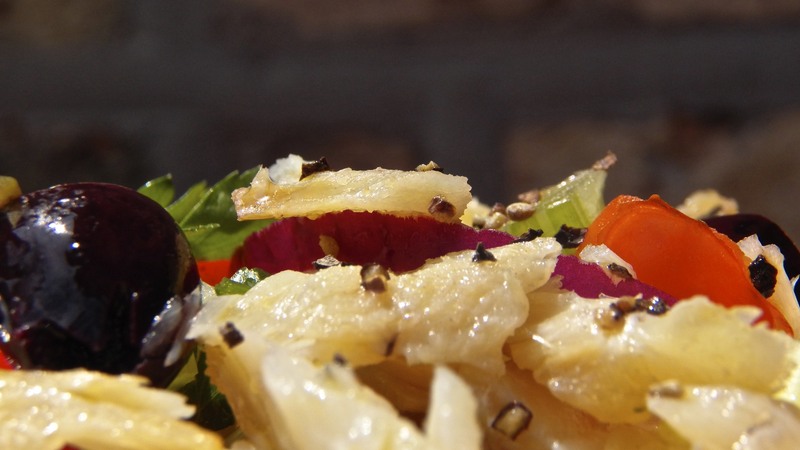 A salted cod salad is very often served in Italian households as part of the Feast of the Seven Fishes on Christmas Eve — but not in our house. 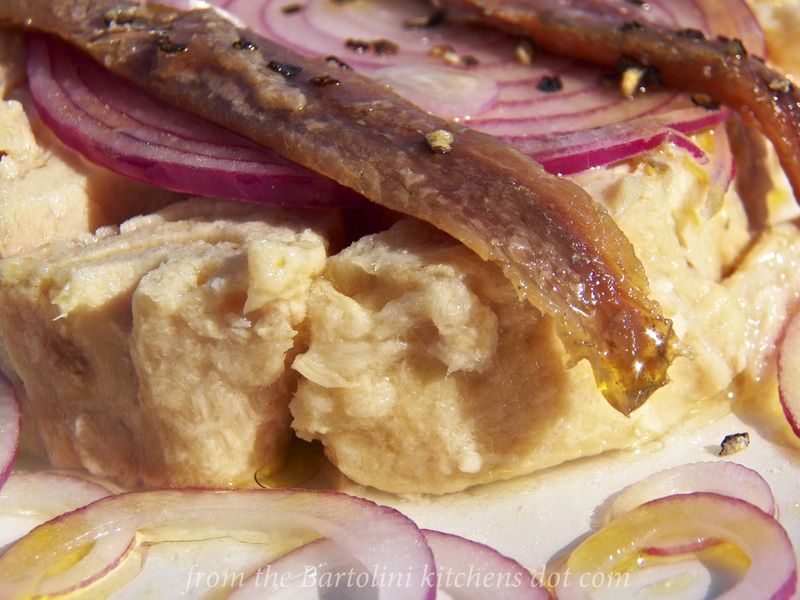 We Bartolini prepared this salad virtually any time throughout the year except during the holidays. On Christmas Eve, we served our salted cod stewed in tomato sauce, baccalà in umido. Frankly, I prefer it this way, with a stew served in Winter and a salad served in the warmer months. This is the third recipe I’ve shared that features salted cod. 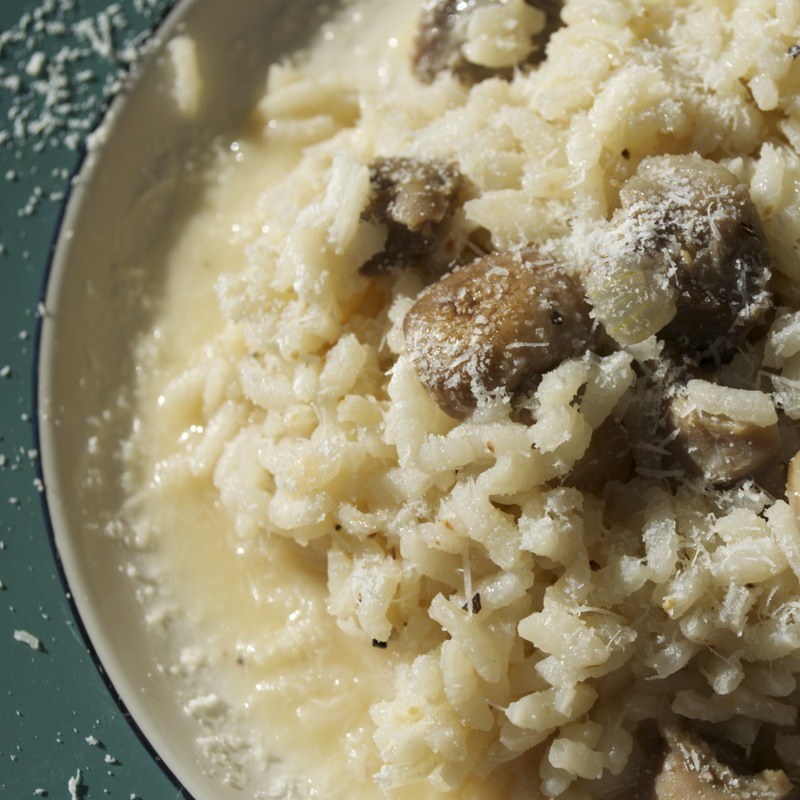 The first, Baccalà alla Marchigiana, is the stew that we served on Christmas Eve. In the second post, the cod was barbecued, although the same preparation could be used to bake the fish. Today’s recipe is a salad and a snap to make, once you’ve re-hydrated and rinsed the cod. Briefly, in the days long before refrigeration, cod was dried and salted as a means of preservation. To make it suitable for cooking, the cod must be soaked in cold water for at least one day and no more than three. During that time, the water should be changed three times daily. The longer the soak, the less salty the taste. It is up to you to decide what level of salinity is acceptable. With the cod re-hydrated, the dish, like most green salads, is really quite simple to prepare. Though the ingredients may have varied from one salad to the next, we always dressed our salad with a bit of red wine vinegar and olive oil. You, like many, may prefer to use lemon juice in place of the vinegar. Even so, with absolutely no cooking involved, you can easily see how this salad would make a perfect meal during Summer’s dog days. Meanwhile, cut the re-hydrated baccalà into chunks from 3 to 4 inches apiece. When the water is boiling hard, add the baccalà and, when the water returns to the boil, reduce the heat to a soft simmer. Simmer until the baccalà can be easily flaked, usually about 5 to 8 minutes. Using a slotted spoon or small strainer, remove the baccalà from the water and set aside. Once cool, carefully flake baccalà and place in another bowl. To that bowl, add the peppers, celery, onion, capers, olives, and parsley. Gently toss the ingredients until combined. Add enough of the olive oil to lightly coat the salad, followed by the vinegar/lemon juice to taste. Season with pepper but be sure to taste before adding any salt. If not to be served immediately, cover and refrigerate until you’re ready to do so. 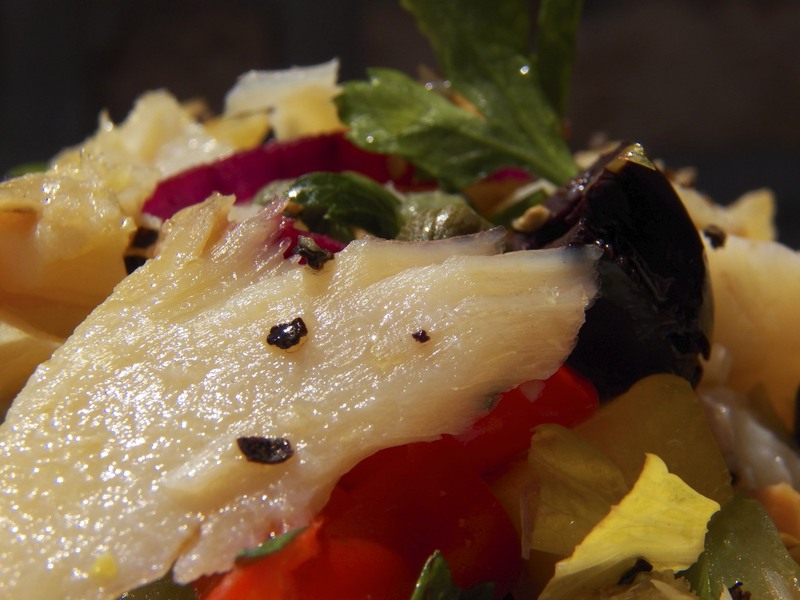 This recipe used raw salted cod, baccalà, to make the salad. 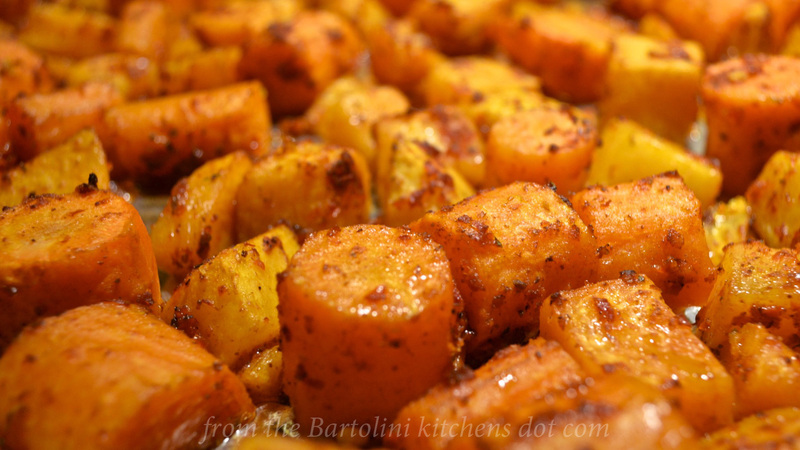 The salad could also be made using left-over baked, broiled, or grilled baccalà, as well. When using left-over cod, there’s no need to boil or cut it up into chunks. Skip those steps and start flaking the pieces. 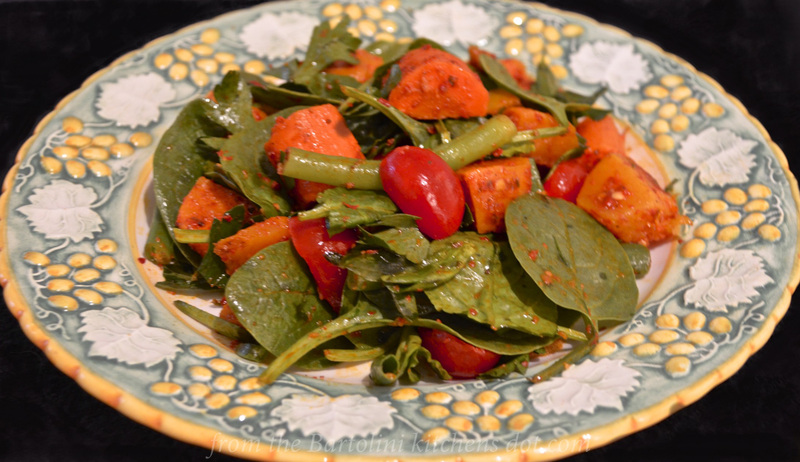 You can vary the salad ingredients to suit your own tastes. Carrots, shallots, garlic, etc., can be added or used to substitute for any of the ingredients listed. You’ll note that I used bell peppers twice in this recipe. The first were miniatures, “Tulip Bells”, that I pickled last August. They added color and a vinegar element. The yellow bell was added for both color and crunch. Neither pepper brings any heat to the salad. If you like, you can add cherry bomb peppers, jalapeños, or Serranos, raw or pickled, to kick up the heat. One sure way to know whether the baccalà is ready to be cooked is to taste a very small piece of it, once it seems fully hydrated. If it is still too salty, keep soaking the fish until it reaches the level of salinity that you prefer, bearing in mind that it will be boiled once it passes your inspection. Do not add any salt to the dish until the very end. This salad will keep for 2 days if refrigerated, though we’ve rarely had left-overs. Today’s post featured a recipe tailor-made for Summer’s hottest days, when we’re all loathe to turn on the stove. The same can be said for today’s blast from the past. 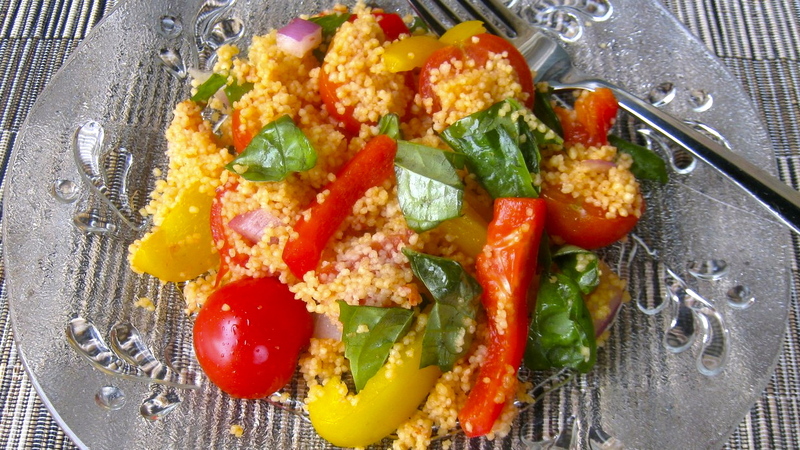 Two years ago I shared a recipe for a couscous salad that requires not one bit of cooking. Just put the ingredients in a bowl, give them a toss, and set your salad in the fridge while you sip Long Island iced tea on the patio. A few hours later you’ll have a tasty salad for lunch or dinner without ever touching a pot or pan. You can see how it’s prepared by clicking HERE. Everyone has one — or maybe two or three. A go-to recipe used when an occasion calls for you to “bring a dish.” Today’s recipe is one that Mom and my Zia often used to fulfill their potluck obligation. To be honest, I’ve no idea who first “discovered” this recipe. I remember Mom serving it for dinner during my childhood and Zia brings it to dinners to this very day. 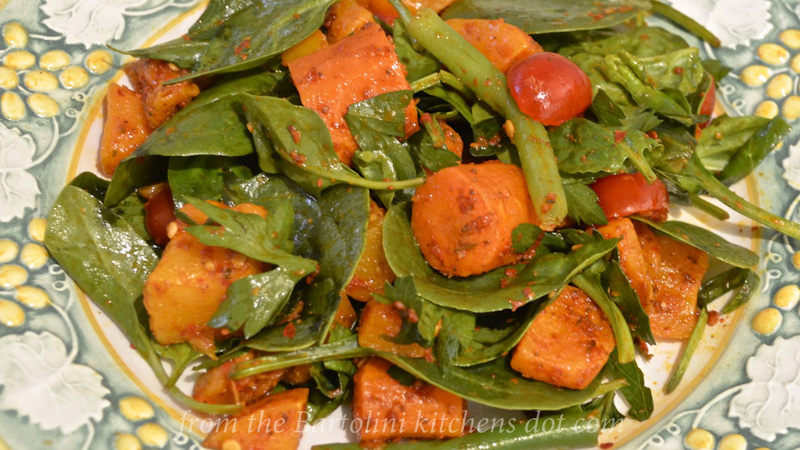 A colorful dish, this is much lighter than potato salad and is sure to be a hit among beet lovers. 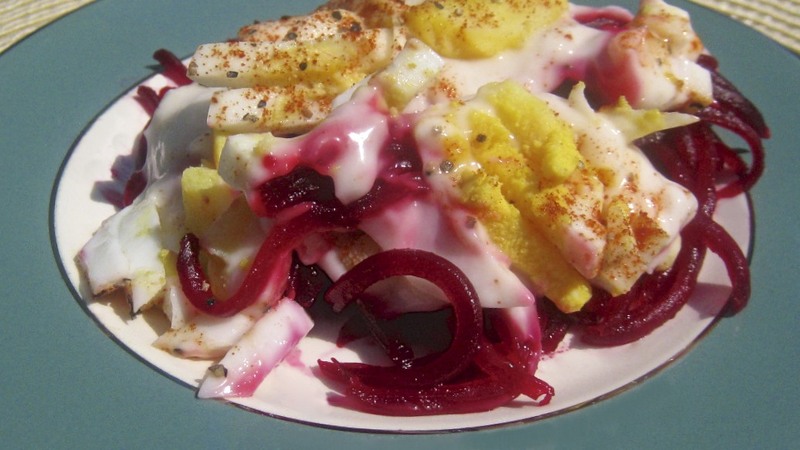 Even so, not all beet lovers are fans of mayonnaise. Should that be true for you, I hope you’ll find this classic video more to your liking. When you look over the recipe, you’ll notice that the ingredients are listed without accompanying amounts. Much depends upon the number of servings required and the size of the serving dish. When all is said and done, you’ll need to create a layer of beets that is about one inch deep. Next, the amount of chopped onion depends upon how just how strong that onion is. Be sure to taste it before adding it to the salad. If it is too strong, rinse it briefly under cold running water and pat it dry using paper towels before proceeding. With that settled, you can add as much or as little mayonnaise as you prefer, and the same can be said for the chopped, hard-boiled eggs. Remember, the beets are the star of the dish; everything else is meant to compliment rather than overpower. Oh! Before you toss those beet greens away, you may wish to checkout my blogging friend David’s recipe for creamed beet greens over on his blog, the Gastronomic Gardener. Place the beets in a roasting pan or on a baking sheet. 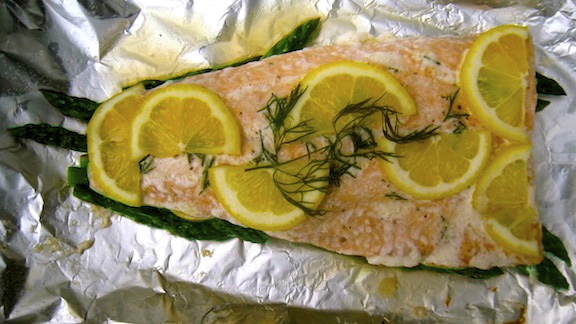 Drizzle with olive oil, season with salt, and place in the middle of the oven. Roast for 30 – 40 minutes, depending upon the size of the beets. 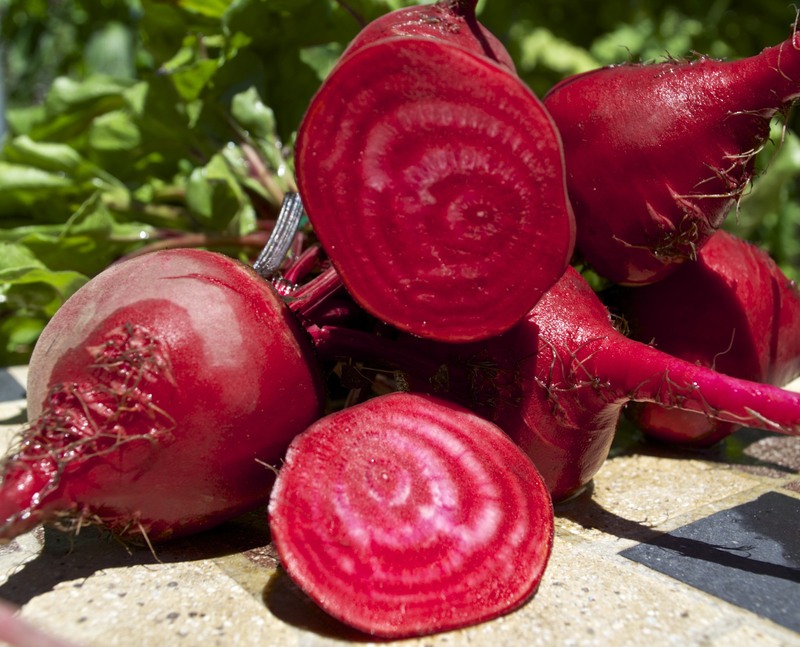 The beets are fully roasted when a knife’s blade meets little resistance when the largest beet is pierced. Set aside to cool. Once cool enough to handle, use a paring knife to trim the beets’ tops and bottoms. Much of the skin of each bulb should slip off easily. Use a paring knife to remove the rest. Use a knife, food processor, or mandoline to dice, shred, or slice the beets. Set aside. Place beets in a serving dish. You’ll want to create layer of about an inch deep. Season lightly with salt. Sprinkle a couple of tablespoons of diced onion on top of the beets. Use more or less depending upon the onion’s strength. Add enough mayonnaise to completely cover the ingredients. Use the chopped, hard-boiled eggs to top off the salad. Season with salt, pepper, and sweet paprika. Although I’ve not tried to prepare them this way, I imagine one could steam the beets instead of roasting them. And if you’re in a crunch for time, you can always substitute canned beets, although I prefer the additional flavor that roasted beets bring to the dish. To beginner cooks: mayonnaise and hot temperatures do not mix. Serious illness can result if mayonnaise is not kept properly chilled. When serving this salad or any mayonnaise-based dish on a warm day, be sure to keep it covered and iced until the last minute before serving and then nestle the serving dish in another slightly larger one filled with ice. It must be kept chilled and when in doubt, throw it out. Way back in May, I was fortunate to win a give-away over at Zesty Bean Dog’s wonderful blog. 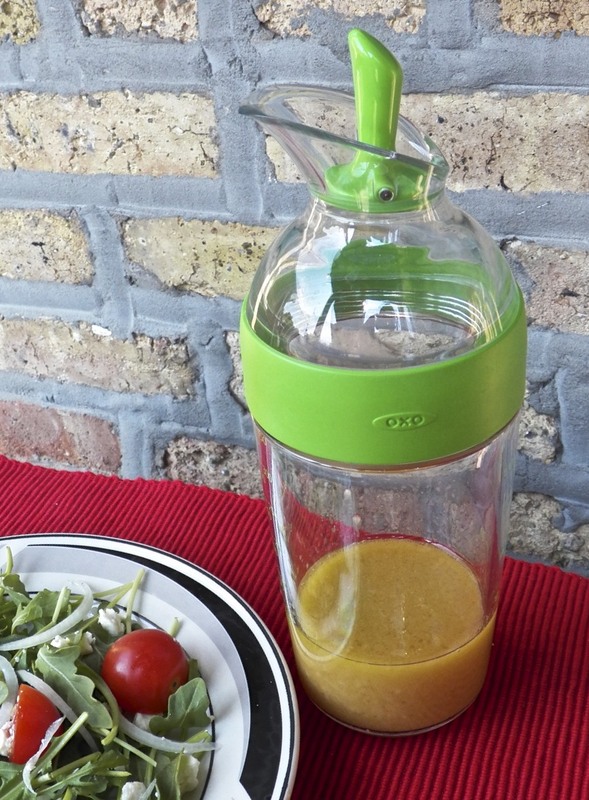 My original plan was to feature my prize, an OXO salad dressing shaker, with my next post featuring a salad. Well, in retrospect and given how few salad recipes I post, I should have come up with a better plan. And even though a salad shaker isn’t used in the preparation of today’s recipe, I thought it was about the closest I’d come to posting a salad recipe for at least a few weeks. ZBD, I hope you do not feel that I don’t appreciate or do not use your gift. It has remained “in service” pretty much from Day One and is one of those few kitchen items that goes from fridge to dishwasher and back again, without ever seeing the inside of a cupboard. So, thanks again, ZBD, for a great kitchen accessory. Today’s recipe was a recurring star of quite a few springtime dinners at the old two-flat. There’s nothing particularly special about the salad, once you get past the idea that you’re dining on dandelions. 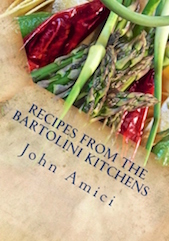 No, for my generation of Bartolini, it’s not so much the recipe as the circumstances surrounding it that we recall somewhat fondly. This is especially true for Sis and I. You see, whereas most people see crocus and daffodils in bloom and think “Spring!”, a Bartolini sees these very same things and thinks, “Cicoria!” Well, maybe not so much now anymore but certainly back in the day. When the lawns started to green each Spring, the adults in the old two-flat became wild chicory and dandelion pickers. We kids, depending upon our age, also took part. When very young, Mom & Zia would take us to some parkland where we’d play as they “harvested” the tender, young dandelions growing about. A couple of years would pass and we would be considered old enough to join in on the fun. We were each given our own butter knife, shown how to cut the greens out of the ground, and taught to leave the area if “traces” of dog were spotted. So, off we proudly went, with knife in one hand and an Easter basket in the other. That’s right. Our Easter baskets were re-purposed each Spring and used to carry the harvest. Now, Dad loved his cicoria & dandelions and Sis & I often went with him, spending Sunday mornings after Mass picking dandelions. We loved every minute of it — until we were around 8 or 9 years of age. It was about that age when we learned that not all kids spent Sunday mornings picking dandelions. In fact, we were the only ones to do so. Peer pressure being what it was, we began to balk at the idea of spending Sunday mornings picking weeds. Did that stop Dad? Not in the slightest, for Dad’s love of dandelions knew little of, nor cared about, peer pressure. If anything, Dad’s peers probably encouraged him to get out there and pick those greens. For Sis and I, it wasn’t so much that he picked the greens, it was when and where he chose to do it. You see, the old two-flat was on the same block as the parish church and about a half mile from both was a freeway. Having attended an early morning Mass, Sis and I would jump into the back seat of the car and off we’d go with Dad as he ran errands and stopped for “un caffè” with friends or family. That first part of the ride was fraught with anxiety for Sis and I. If Dad turned left at the Church, we were fine. It’s when he turned right that we began to get nervous — and it grew worse as we approached the freeway. If he turned anywhere before the overpass, we breathed a sigh of relief and all was well. The same held true if we drove over and beyond the bridge. It was only when we heard his turn indicator as we drove on the overpass that we knew we were heading for the freeway and trouble! “Please, Dad, NO!” As soon as he made the left turn, Dad pulled the car onto the entrance ramp’s shoulder, no more than 10 feet from the corner. There, in full view of our fellow parishioners — and classmates — walking to-and-from Sunday Mass, Dad pulled out his penknife & paper bag and started picking weeds, while Sis and I, mortified, dove for cover in the back seat. How could he do this to us! Two forevers later, he’d return to the car and off we’d go to the park where the pickings would be better, or so Dad said. We didn’t care. We just wanted out of there! Looking back, and hindsight being what it is, I’m pretty sure that Dad stopped along that ramp for more than just some dandelion greens. To begin with, Dad was a practical joker and he probably stood outside of the car and laughed as Sis and I tried to hide ourselves in the back seat. And although at the time it seemed like an eternity, we were actually parked there for only a few minutes and Dad never returned with more than a few greens, if any. No, we always needed to go to the park afterward and, suddenly, Sis and I were more than happy to accompany and even help him, proving there’d be no need to ever stop on that ramp again. As a result, we had all the greens Dad needed in no time flat and soon we were on our way to our next stop. See what I mean? In today’s vernacular, we got played! 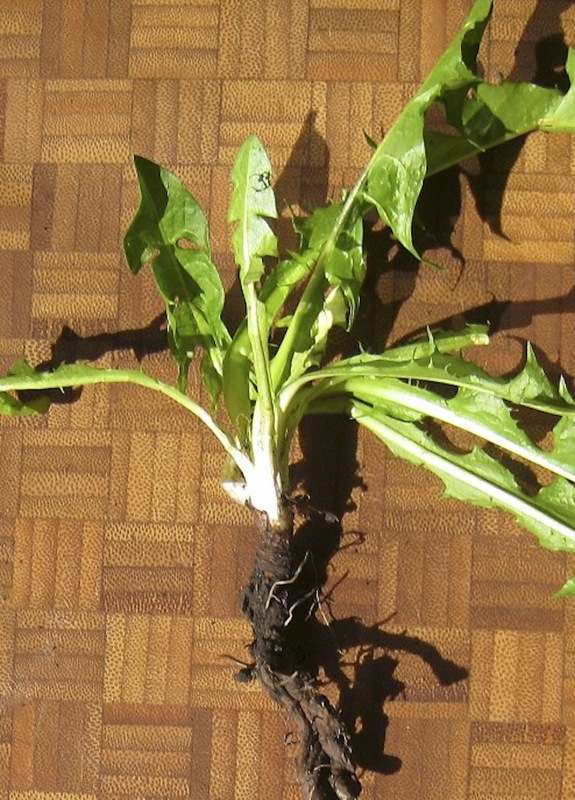 Although I’ve seen dandelion greens in produce markets, the leaves are very large and usually served cooked. We use are the tender new plants that begin to grow in early Spring. Look for dandelions in areas where there is little chance of fertilizer or weed killer having been used and as far away from dog “traffic” as possible. Open parkland is good, as are rural fields. Look for young plants. If it has a bloom, it’s likely too old and too large. Once you’ve found one suitable for harvesting, use your knife to sever the plant from its roots below ground level. Continue harvesting until you’ve enough for your needs. I normally pick enough for a minimum of 2 salads. Once home, soak the greens in cold water. 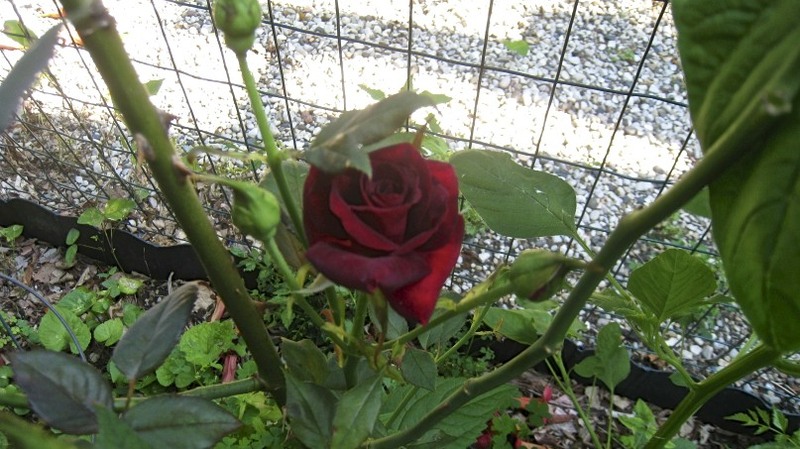 One by one, rinse under running water and trim away any off-color leaves and all of the (brown) root stem. There may be underdeveloped flower buds in the heart of the plant. I remove them; you may prefer otherwise. Depending on the size of each plant, you may wish to cut it in half or, by trimming off the very bottom of the plant, separate the individual leaves. Place trimmed greens in cold, fresh water and continue until all are cleaned and trimmed. Dry the greens and reserve enough for your salad. Wrap the rest in a paper towel, seal in a plastic bag, and refrigerate. The greens will stay fresh for a few days if stored properly. The salad itself is really quite basic and you may wish to add more ingredients. 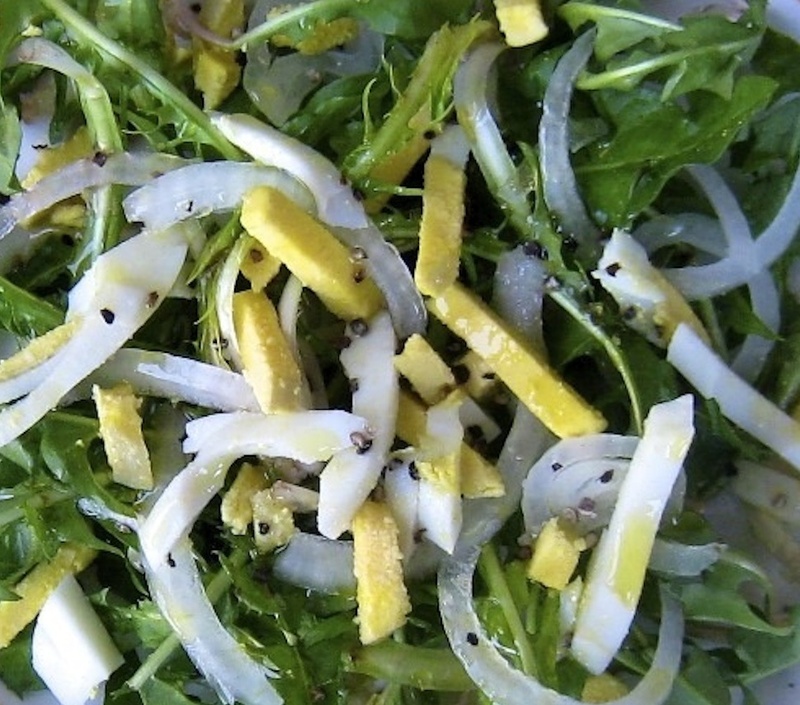 Our insalata consists of dandelions, some sliced onion, chopped hard-boiled eggs, a dressing of oil & red wine vinegar, and seasoned with salt & pepper. That’s all there is to it and I believe that’s because the greens were special and only available for a few weeks every Spring. 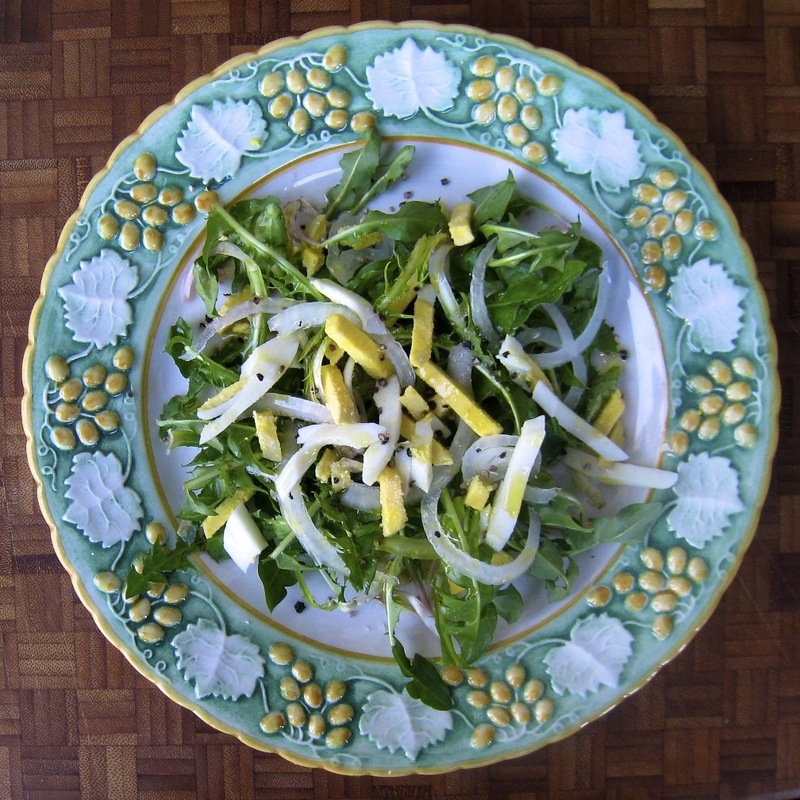 Keeping the salad simple ensured that the tender dandelions took center stage and their flavor wasn’t overpowered. Make yourself one of these insalate and you’ll find it a tasty little salad and, like asparagus, a great way to bring Spring to the dinner table. And if you’ve children, you may wish to borrow a page from Dad’s parenting book. Keep an old butter knife and bag under the driver’s seat of your car. If the kids are “acting up” in the car, just drive by a favorite playground or practice field and announce that the dandelions look delicious and that “Everyone’s going pickin’!” I’m willing to bet that you’ll only need to get out of the car one time, if at all, especially if you wave to their friends as your drive up to the curb. Best of all, you’ll give them a great memory to recall when they reach — ahem — middle age. I first saw this salad prepared a few weeks ago, just prior to Christmas, but my mind was too occupied with thoughts of the holiday dinners-to-come to give it any real consideration. I’ve always enjoyed a spinach salad, a trait Mom & I shared, but the thought of having a salad as a meal around the holidays is so not me. And then came the New Year’s Day porchetta (roasted pork). Now, I thoroughly enjoyed that roast. It was everything I had hoped it would be and certainly lived up to my recollections of the porchette of my childhood. I, also, enjoyed the pork sandwiches and panini that followed but there came a point, much to my surprise, where the idea of another sandwich, porchetta or otherwise, was not the least bit enticing. Worse yet, and most unbelievably, I’d had my fill of pasta, too! One afternoon, I found myself walking around a grocery and nothing was the least bit appealing. You hear about this happening to others but never in a million years do you think it will happen to you. Add 1 tbsp of olive oil to a sauté pan over med-high heat. Add bacon and sauté until cooked and crispy along the edges. Add the shallots and continue sautéing until translucent. Add the mushrooms and cook for a couple of minutes until soft. Use the chicken stock to deglaze the pan, then bring to a boil, reduce heat, and simmer until the liquid is reduced by half. Add all but 1 tbsp of the balsamic vinegar and stir. 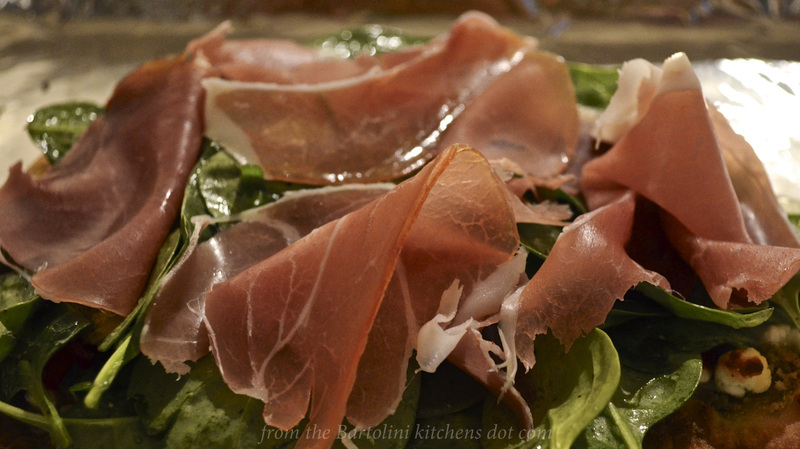 Taste the dressing and adjust, using more balsamic or olive oil, depending upon your preference. Remove from heat. In another, non-stick, skillet, heat 1 tbsp of olive oil over med-low heat. Gently add each of the 4 eggs to the pan, being careful to keep the yolks whole. Season with salt & pepper. Fry the eggs until the whites are thoroughly cooked but the yolks remain soft. 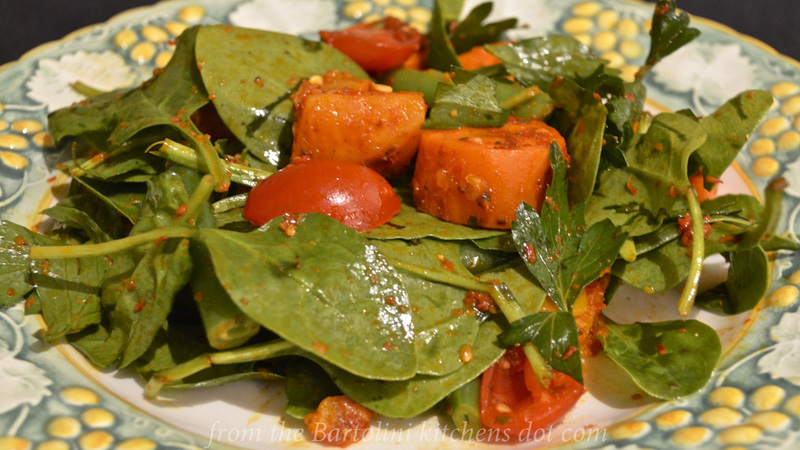 Dress the spinach with the warm dressing in a large bowl. Mix well to allow the spinach to wilt evenly. Apportion the salad across 4 plates. Place a fried egg atop each salad and serve. The ingredients can be easily adjusted to suit your tastes and/or the number of servings required. If you prefer your salad heavily wilted, dress the spinach with the warm dressing while the eggs are frying. 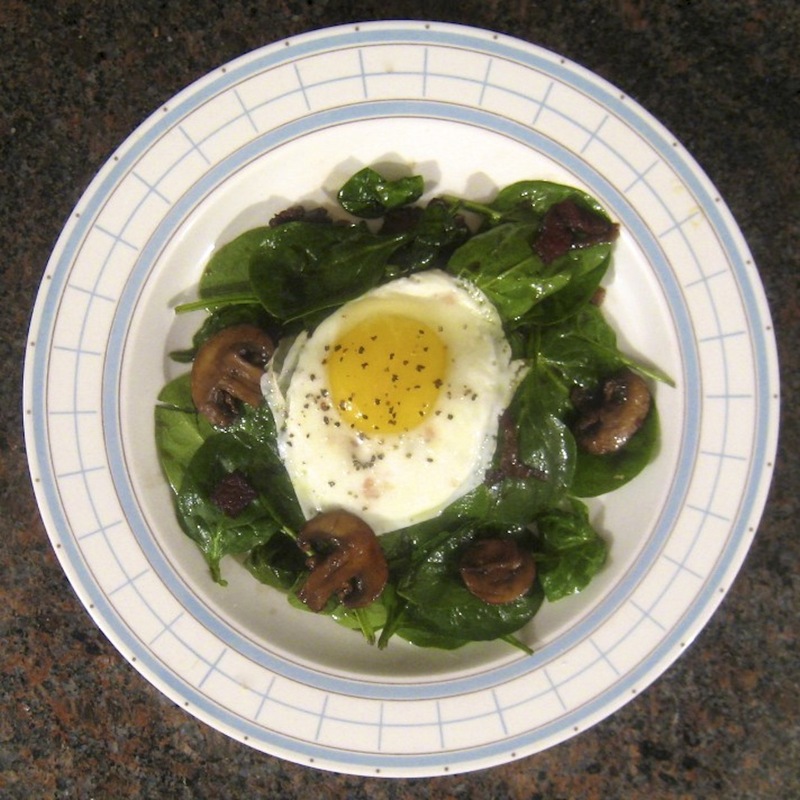 If you prefer your spinach more firm, dress the spinach just prior to placing the eggs on top. For you, Cynthia, and your fellow vegetarians: just skip the bacon, increase the olive oil to make up for the lack of bacon fat, and use water in place of the chicken stock. And, as always, Go Cubs! Prior to the changes brought by Vatican Council II in the 1960′s, Christmas Eve was a “fast & abstain” day, meaning only 1 main meal could be consumed and no meat was to be eaten all day. For most Catholics around the World, it was a day of contemplation and that one meal was nothing special. With Christmas coming within 24 hours, all eyes — and appetites — were focused on the big day — and dinner — soon to come. Not so the Italians. If tomorrow’s a big holiday and today you can only have one meal, why not make that meal special? And so they did. Can’t have any meat? No problem. With Italy being both peninsula and island, fish was very often more readily available than many meat products. And so it became a seafood banquet. Wait a minute! The Church may frown upon so grand a celebration on the eve of the birth of the Christ Child. Again, no problem. They made a point of serving seven fish, each one representing one of the Seven Sacraments of the Christian Faith. In one masterstroke, their seafood feast became an Act of Faith. What priest, bishop, or even Pope would dare interfere with these devout Catholics as they used the day’s only meal to commemorate the Seven Sacraments? (The fact that the clergy themselves were probably dining on an even more spectacular seafood supper didn’t hurt “the cause” either.) And so the Feast of the Seven Fishes was born and survives to this day wherever Italians call home. It’s funny but I don’t recall hearing anything about the Feast of the 7 Fishes when I was growing up. This, despite our having a large seafood meal every Christmas Eve. Dad, working in a restaurant, would come home early in the evening of Christmas Eve, bearing gifts of clams, oysters, and red snapper, at the very least. This would be added to the shrimp and crabmeat that Mom was preparing as appetizers and the calamari she was using to make a salad. 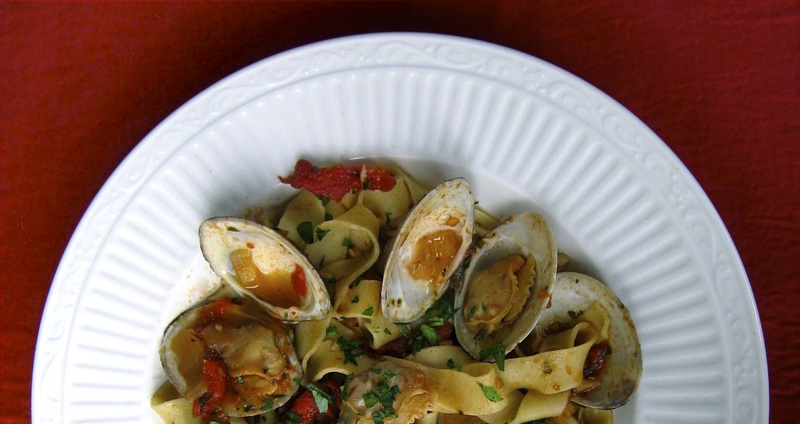 As Dad shucked, he helped Mom with the recipes for clams casino and oysters Rockefeller. (Yes, Dad could cook but it was a skill he successfully kept under wraps except on the most rare of occasions.) 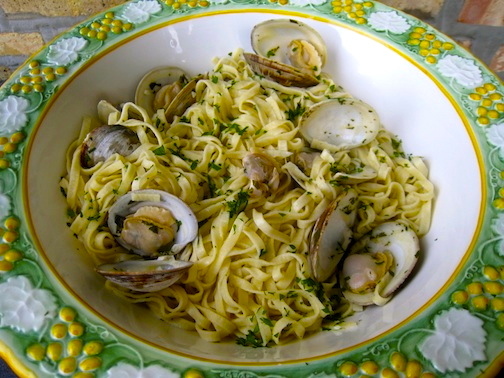 There was, of course, a big platter of home-made linguine with tuna — or possibly clams — to be served along with the red snapper that Mom had broiled. It was, by any measure, quite a feast of seafood — we just never counted the “participants”. Although today I do not maintain this family tradition, I do, however, make sure that my plans for Christmas Eve include a meal of seafood, no matter what. 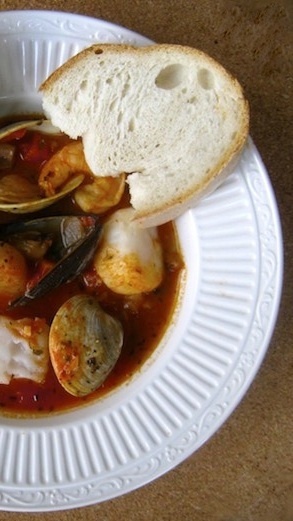 Since I’ve posted a number of seafood recipes over the past several months, I thought I’d post links to them all for anyone planning a Feast of the 7 Fishes but who may be missing a fish or two. 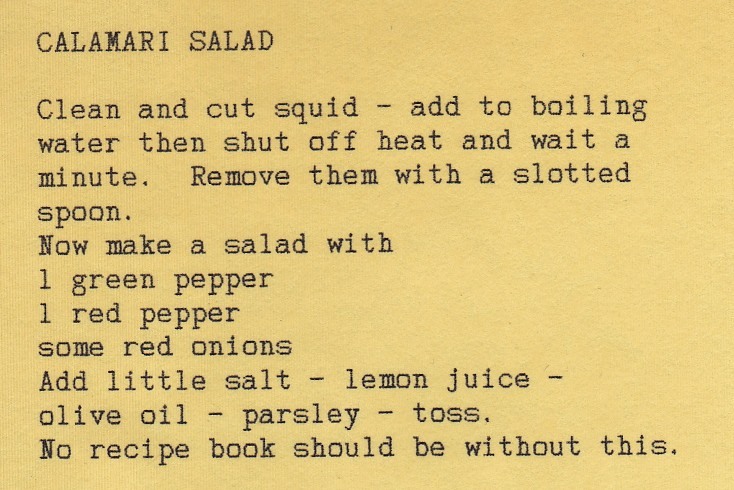 Before doing that, however, I’ll share Mom’s recipe for Calamari Salad because, well, you should have it; she said so. And, next week, I’ll share the Bartolini recipe for what is the traditional main course in many Italian homes on Christmas Eve, Baccalà (salted cod), which, by the way, is also one of the 7 Fishes. Now, there are a few things to consider with the recipe I’m about to share. 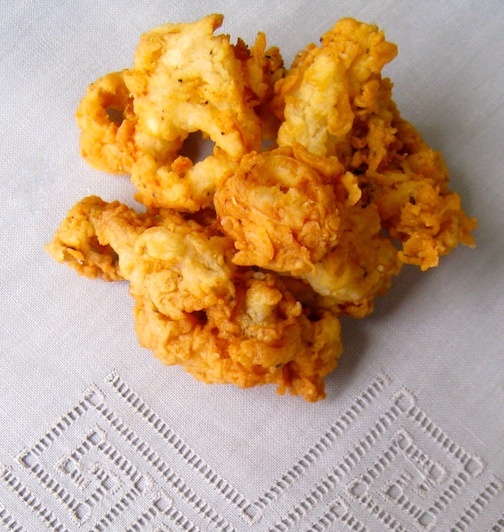 First off, when cooking calamari, it’s been said to either cook it for 1 minute or 45. Anything in between and you’ll be eating something akin to rubber. So, use a big pot, bring it to a rolling boil, and get those squid into, and out of, the pot quickly. Beyond that, this recipe is typical of most of my family’s in that it features a few ingredients with relatively few spices. It is all about balance, that’s why there are no amounts given. Yes, Mom listed 1 green and 1 red pepper but I omitted the quantities. It all depends upon how much calamari you use and you’ll note that Mom didn’t list the amount of calamari needed in her recipe. Chop and mix as much bell pepper, red and green, as your eye tells you. (For 1 1/2 lbs calamari, I used about 2/3 each green & red bell pepper.) Taste the onion and let that determine how much to use. If you feel it’s too strong, feel free to give it a quick rinse under cold water after you’ve chopped it. Still not liking the onion? Try a shallot or 2 instead. 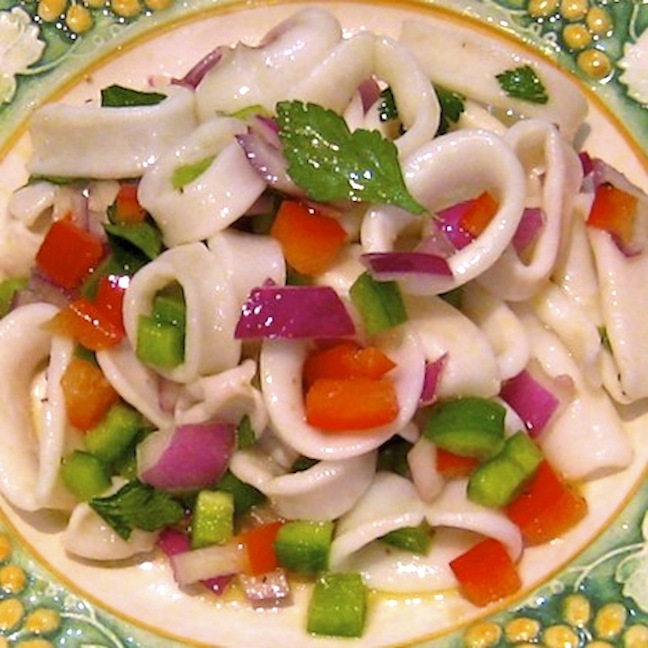 Lastly, if you’re not comfortable adding the dressing ingredients directly onto the calamari & peppers, then mix it first in a small bowl, taste it, adjust if necessary, and then dress your calamari with it. Bear in mind that most homemade vinaigrettes call for 3 parts oil (olive) for every one part acid (vinegar or, in this case, lemon juice). Fill a large saucepan with water and bring to a rolling boil over high heat. Add the calamari, stir, and turn off the heat. Once fully chilled, drain, place calamari on paper towels, and pat dry before dressing immediately with lemon juice, olive oil, parsley, salt and pepper. This couldn’t be easier to prepare and, best of all, you can cook the calamari, make the dressing, and chop the peppers, onion, & parsley ahead of time and store it all separately in the fridge. Just before serving, mix the ingredients, season with salt & pepper, and bring it to the table. Who wants to be stuck in the kitchen when there are unattended gifts to shake? All righty! That’s 1 recipe down and 11 more to go. 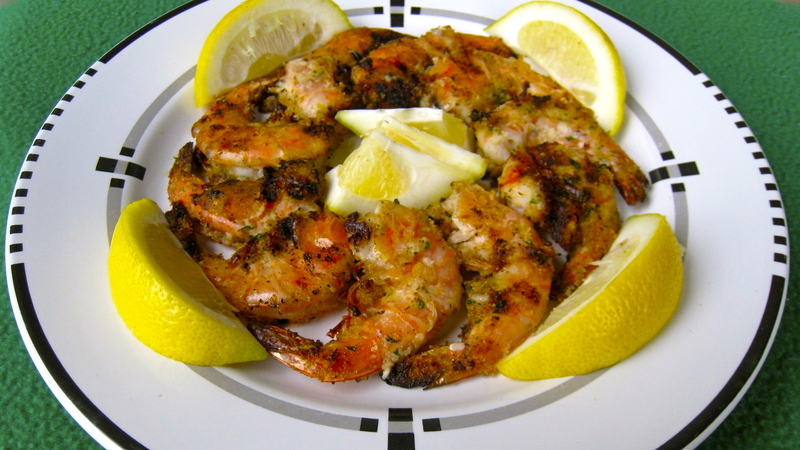 As promised, here are the seafood recipes that I’ve shared during the past year. As you can see, of the 11 dishes presented, 7 involve pasta. I’m afraid that’s a bit too much pasta for a Feast of the 7 Fishes, even for me. So, I’ve got a plan. For your primo piatto, prepare my Brodetto. That’s 5 fish in one dish! Clear the table and serve today’s calamari salad alongside next week’s Baccalà and you’ll have all 7 fishes, present and accounted for, in only 2 courses. That wasn’t so hard, was it? Oh! About dessert. Yes, you may have dessert but, keeping in mind that it is a day of fasting and in the spirit of the Feast of the 7 Fishes, go easy on the whipped cream and chocolate sauce. Besides, you’ll need room for the fruit & cheese platter that you’ll be serving while the chestnuts are roasted. As I write this, much of our country has spent the last few days sweltering in a record-setting heat wave. As a result, my stove is officially off-limits and the barbecue has been all but abandoned. To further complicate matters, for every degree the temperature goes above 95, my appetite seems to decrease exponentially. 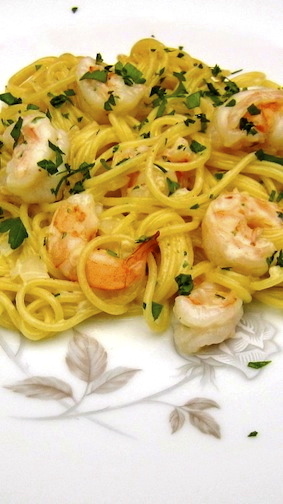 So, today, with yet another heat index forecast to be well over 100*, I’m looking for something light, fresh, and easy to prepare for dinner. For me, that often means a pasta salad. (OK. It also means ordering a meal for home delivery but what kind of recipe post would that make?) We all have our favorite pasta salads and recipes abound for tabbouleh-like salads that use couscous in place of bulgur. 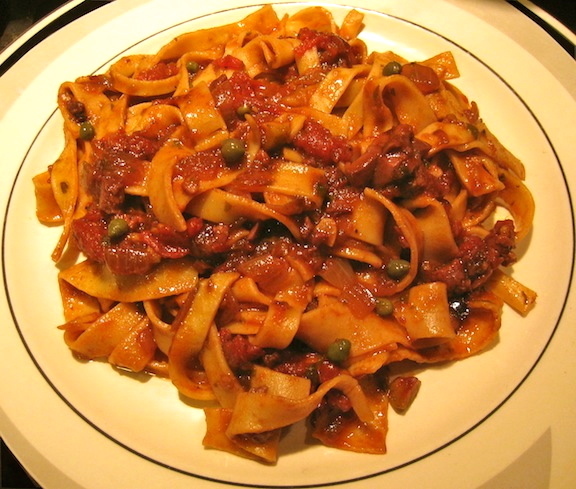 Today’s recipe, a favorite of mine, is from David Rocco’s Dolce Vita and is perfect whenever it’s a hot time in the city. 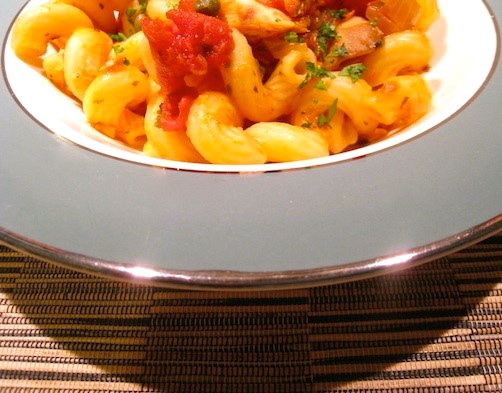 Resembling a grain, couscous is actually a small bead of pasta. In fact, I’ve seen Lidia Bastianich actually make it on her show, Lidia’s Italy. It’s a simple process: flour — I believe it was semolina — is spread on a tabletop and water is sprinkled over its surface. A few minutes later, the resulting small pasta beads are carefully collected and sorted using sieves with holes of varying sizes. It was an interesting process to watch, although I doubt that I’ll ever attempt it, especially for today’s recipe. 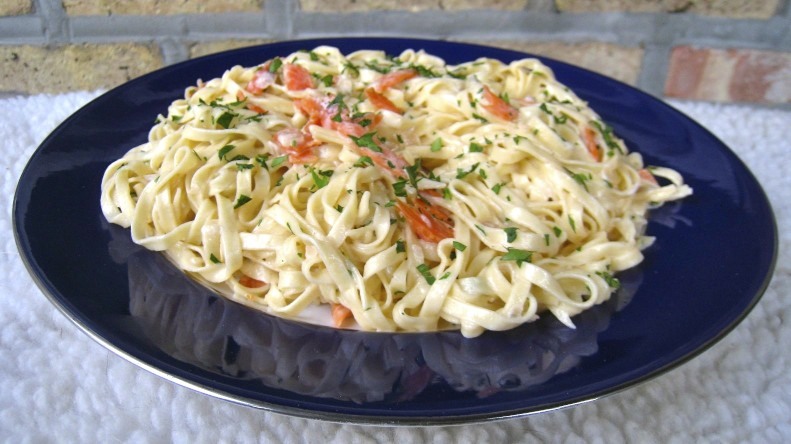 That’s because the main advantage to this pasta salad over all others is in its ease of preparation: there is no cooking. Instead, raw couscous is allowed to marinate in a rather generous amount of dressing and, as it hydrates, the couscous absorbs the dressing’s flavors. The result is a light, tasty salad and a kitchen that’s as cool as it was when you started. Believe me, on days such as these, my kitchen needs all the help it can get. 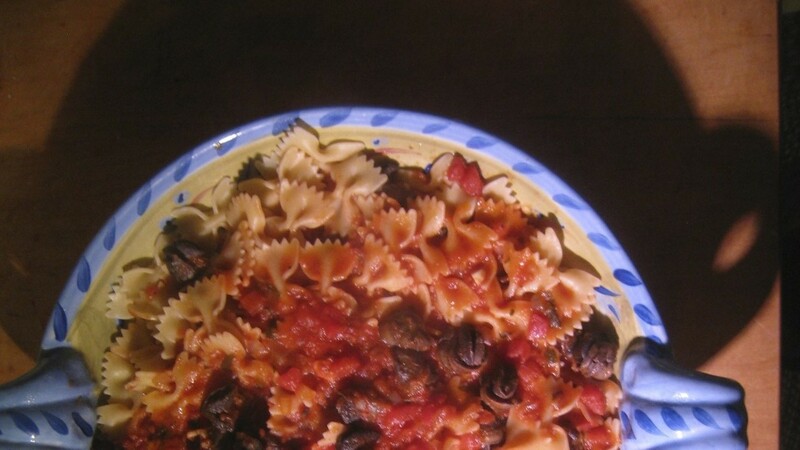 Place olive oil, lemon juice, and canned tomatoes (juices included) into a large bowl and mix well. Add couscous and stir to combine. 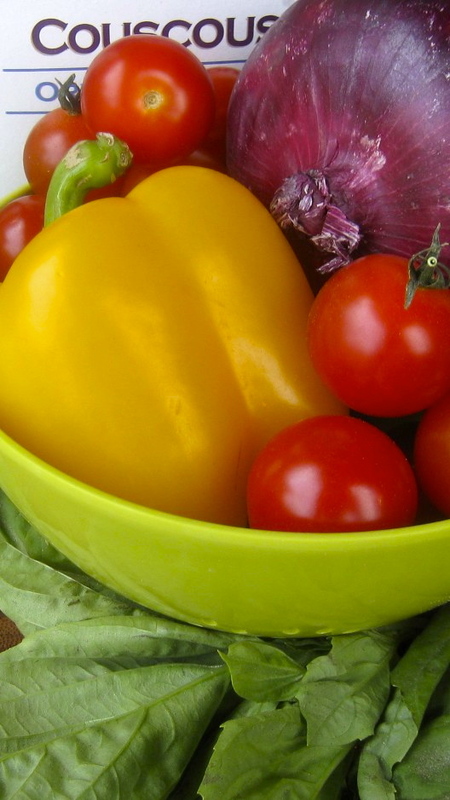 Add the bell peppers, onion, celery, carrot, and cherry tomatoes to the bowl and mix well. Cover with plastic wrap and refrigerate for a few hours. Give the salad an additional mix, or two, while it is being refrigerated. Just before serving, tear the basil leaves, add them to the salad, and mix well. If desired, add a light sprinkling of vinegar over the top of the salad. Anyone who reads this recipe will probably think of additional ingredients to add to the mix. In fact, I added the celery, carrot, and splash of vinegar to David’s original dish. The interesting thing about the recipe is not so much the list of ingredients as the fact that no cooking is required. Still, if you’re looking for suggestions, you can try adding chick peas, sliced radishes, lettuce, walnuts, apple, you name it. And don’t forget herbs. Mint, for example, will add a completely new dimension to your salad’s flavor profile. Lastly, if you’re looking for something a bit more substantial, try topping off your salad with some flaked tuna that’s been dressed lightly with olive oil & wine vinegar.